Thank you for reading. Enjoy a fulfilling rest. The Future of Sather Gate? In a recent post at the Berkeley Blog, economist Brad DeLong offered an unusually succinct example of what has passed for the conventional wisdom amongst the Regents and UC administrators for the past decade. Perhaps because he seems to think that he is providing bold advice rather than simply conforming to already existing policy, DeLong is more forthright in laying out the implications of the strategy. Unfortunately, he doesn't seem to realize that he is offering support for the very positions that have driven UC towards mediocrity and a lack of connection with the state of California. Given that DeLong is one of the leading figures of the liberal wing of mainstream economics it seems worth it to take the measure of his position. The days of Clark Kerr are over. The belief that the taxpayers of California should pay for the young citizens of California to get as much education as they want for free is no longer politically popular. Would that it were still. The old social democratic belief that America should have the best universal free public education system in the world was a principal source of America’s relative prosperity and economic leadership for a century. Now that the political coalition that supported that belief is gone, America will be a much less exceptional place. But those days are gone. Chancellors can no longer rely on the legislature of California to fund Berkeley at the level needed to keep it an exceptional university. Berkeley needs another and a different strategy. As DeLong notes, the strategy that Berkeley has adopted under this understanding is to dramatically increase its numbers of international undergraduate students, or as he puts it to develop "the funding stream necessary to maintain a great University by becoming a finishing school for the superrich of Asia." To be honest, I am not really sure what to make of this characterization of students from Asia. On the one hand, UCLA has also dramatically increased its students from both Korea and China and I have not had the impression that they are "super-rich." On the other hand, one of the most striking aspects of the higher education policies of Asian countries has been their commitment--far greater than in the United States these days--to develop real liberal arts institutions for their youth. But I will leave that question aside. Now to Delong's credit he admits that this may not be the right strategy. But he insists that it is the strategy in play, that it is better than no strategy, and that therefore Berkeley needs to follow it ruthlessly. To do this he thinks that Berkeley's administration needs to direct all money to student life (by which I think he means counseling and mentoring), writing and acting classes, and to certain departments (engineering. pre-med, and interestingly two different types of economics). DeLong's strategy therefore demands a bifurcated university: certain humanities departments (Theater, English) will provide international students skills in self-presentation and communication while others (economics, life sciences, and economics) will provide them with knowledge. Apparently, DeLong thinks that Berkeley (and the other UCs for that matter) have not already been spending large amounts of funds in the bio-sciences and engineering or spending lavishly on economics. But the last time I visited Berkeley I was struck by the dynamic re-construction on the northwest of the campus (where the life sciences are) in comparison to how archaic the buildings on the rest of the campus were (with the exception of the law school). And last time I checked the pay scales in economics and business are significantly higher than any others outside of the medical centers. Put another way, there is already heavy investment in the disciplines that DeLong think need money (at least in the knowledge rather than skills disciplines). What DeLong is proposing is a form of what Andrew McGettigan has described as "internal privatization." (9) It is not something that is entirely under the control of the University--it is a legislative decision to increase private power over public higher education. What DeLong's suggestion makes clear is how distorting the effects of this strategy is for higher education institutions when driven by the (perceived) desires of students defined as consumers. This strategy would not preserve the Berkeley he knows: it would convert Berkeley and the other UCs into a combination Wal-Mart and Tiffany's. We know how well that has worked for the economy as a whole. Let's step back a minute. DeLong is advocating this plan not because he thinks that the rest of the University is unimportant or because he thinks that social democracy was a bad thing. Instead, he is advocating it on two grounds: first that there is something unjust about asking tax-payers to pay for the education of UC undergraduates (he speaks only about Berkeley but it applies throughout the system) and second by mimicking the argument of Margaret Thatcher: There Is No Alternative. These two reasons go together. And both of these reasons depend on an ahistorical sleight-of-hand. 1) Delong implies that higher education is simply a private good. DeLong may feel differently in his personal views but in his arguments he reduces higher education to a private good and reduces private goods to the question of income. Take his discussion of tuition. Here his treatment is based entirely on the question of graduate's earnings. The question he poses is: at what point does the loss of income and the cost outweigh the economic benefit of a degree? To his mind, this question settles into the economist's consideration that for a college education to be a rational expenditure the long-term earning benefit must outweigh the short-term loss of income. Since he treats a college degree as a private good relating to income he suggests that since "the average taxpayer of California is considerably poorer than the average Berkeley graduate, that upward transfer to the relatively rich leaves a bad taste in the mouth." But this position is remarkably over-simplified. First it ignores that the lack of progessivity in the income tax, or the loopholes in the corporate property tax, or the shifting burden of the tax base from corporations to individuals are results of politics and history not facts of nature. If these were corrected then we would have a situation where education could serve the entire population and the burdens would fall on those most able to bear them. By DeLong's logic there could be no public services except for the very poor--and given the political structure that Delong seems to take as given that would very quickly lead to no public services at all. Moreover, it ignores all the ways that higher education (like k-12) function as public goods whose costs need to be shared. I do not make the comparison with K-12 lightly--I know of people who object to paying taxes for public schools because their children aren't in them. DeLong's argument is the argument of privatizers everywhere. It fails to see incorporate the civic component of education and also fails to see that the shift from public to private funding increases costs because it forces institutions (and the individuals in them) to waste time, money, space, and labor on seeking out private and limited funding. 2) DeLong "knows" that public support for higher education does not exist anymore and therefore we must try a more privatized strategy: There is No Alternative. Now I have a certain sympathy for DeLong on this score: he is, after all, a member of a discipline that has shown, as both he and Paul Krugman have argued repeatedly, a remarkable inability to recognize how much of economic thinking was rendered obsolete by the crises of the recent past. So he may simply be thinking that since the economics profession can't change nothing can. But the history of economic thinking and policy suggests otherwise (as DeLong himself has pointed out). Instead that history suggests that what may seem to be an unchallengeable orthodoxy can be changed if people work long and hard at it. 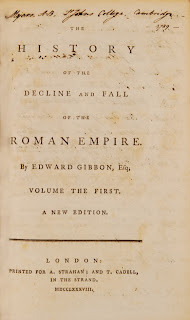 The ideas that now dominate economic thinking and policy (a certain market fundamentalism, a naturalized vision of globalization; a denigration of public institutions) did not drop from the sky. They were developed in think tanks, spread by politicians and activists, formulated in often originally unpopular arguments, and defended over several decades. Think back to the 1950s, 60s, or 70s and try to imagine someone seriously arguing that states should be cutting their support to higher education or that government could do nothing to help with recessions. Our present world did not come about from nature: it resulted from political and intellectual struggles that laid the groundwork for the privatization mania that has created one of the least equal societies with the largest imprisoned population in the world. Let's try translating DeLong's diagnosis into somewhat different language. In effect, he is pointing out that it is impossible to maintain social democracy under the conditions of neo-liberalism. In this, he is surely right. But put this way as opposed to the anodyne "the belief that the taxpayers of California should pay for the young citizens of California to get as much education as they want for free is no longer politically popular" reminds us that these are different strategies of politics and governance and not simply a "reality" that needs to be accepted. Following the path that UC (and Berkeley, Los Angeles, and San Diego in particular) will not preserve quality public education. It will destroy it. Instead of simply accepting the doxa of the moment (especially when there is such evidence that it does not work in the interests of the people that Delong appears to want to assist) we should continue to call out the destructiveness of the strategy. In practice people have begun to do so: passing proposition 30, parents and students sending California kids out of state because public universities are cheaper there, as well as the wide-spread opposition to the growth of non-resident tuition based policies. DeLong might consider that his proposals will only intensify pressures to further cut state funding to UC not lessen them. And if anyone really thinks that Berkeley or any other campus could sustain itself without state funding they really need to re-think their positions. State funding remains absolutely central for the educational core mission of the University. Advocating that we do a better job of following a poor strategy is not realism. It is myopia. We've gotten off-line comments on the ongoing coverage of benefits changes, and I thought it would make sense to address some of the issues publicly. Most focus on the issue of how faculty and staff are supposed to deal with university management, and so at the end I get to a conclusion about senates and unions via this week's issue of out-of-state retiree health care. Q. Is keeping current levels of benefits as hopeless as your post makes it sound? A. No. The post putting UC Care in the Obamacare context is a bit bleak, but my point was to say that the problems with the new UC Care program have not been resolved, and that we should continue to work to fix it. Some non-UCOP administrators are working on a fix behind the scenes, but I don't think they will achieve uniform health benefits without major support and/or pressure from faculty and staff to move beyond the current, one-year, half-way measure. Q. Since most of the public pays more for worse coverage than we do, why do you think should anyone care? A. We all hear this all the time. First, neither salaries nor benefits at UC are now above industry averages (see e.g. this post on pay and benefits problems), and UC folks should point this out when confronted with false assumptions. Second, we should oppose misery-loves-company spite that now fuels a salary-and-pensions race to the bottom in our increasingly post-middle-class society. Third, many UC workers are already lower-middle or working-class, particularly in cities like Santa Barbara. If our friends and neighbors are going to express class resentment, we should encourage them to direct it at hedge fund managers or hospital CEOs rather than at people for whom $3000 or $9000 in additional medical costs is a 10%-20% cut in take-home pay. Q. Must we be so cynical about UCOP motivations? A. It's not cynicism, it's realism about how UCOP appears to see its job. The Sansum deal, for example, suggests that UCOP was more interested in keeping their new health-care cost savings while demobilizing angry faculty and staff than in rectifying inequitable coverage. I say this on functionalist grounds: we have a Solomonic decision with one year of Tier 1 clinic and no Tier 1 local hospital, and in practice this has demobilized faculty and staff but retained inequitable coverage. I also say it because Peter Taylor rejected the equity principle of cost sharing in telling the Chronicle of Higher Education that UCSB was demanding a subsidy from our colleagues elsewhere. Like other UCOP officials, Mr. Taylor does not work for UCSB employees. Their job is to address a structural funding deficit that hasn't improved much since 2011. Their job is not to insure maximum faculty and staff productivity through excellent working conditions and high morale. There may have been a time when UCOP's main goal was to heighten UC well-being, but that has not been true at least since then-chair of the Board of Regents Richard Blum called UCOP to heel with his 2007 memo on being "strategically dynamic." Q. Isn't it better to save on health care and increase funding for teaching and research? This is a false choice that has worked well as a political wedge but not as a true description of the budget. It also avoids confronting that long-term structural issue, which is that UC is not currently funded to provide either top educational quality or above-average employee compensation. It's getting minor annual increments in state funding that will take years to get back to ground level, and Gov. Jerry Brown and his legislative allies have made even these small increases contingent on a tuition freeze. UCOP and the regents have used various stop-gaps to push the problem down the road. For example, the 19-year pension contribution holiday allowed UC to underestimate its state funding need by $333 million a year. Another example has been years of reductions in the growth of the overall salary mass (thought not that of targeted executives, coaches, and high-end faculty). The Dynes administration allowed salary scales to fall behind comparators', and justified this by pointing out our above-par benefits, saying that therefore total compensation was still ahead of our peers'. If the Dynes administration had come for our above-par salaries, the Yudof administration came for the above-par benefits. Given ongoing structural problems, there's no natural stopping point for UCOP officials in dealing with ongoing shortfalls through the continuous pruning of total compensation. In the recent Open Enrollment period, out-of-state retirees had to select insurance through plans managed by ExtendHealth. The University does not subsidize any of these plans, but it does provide $3000 per year per Medicare-enrolled retiree and per Medicare-enrolled family members of that retiree. . . . Such plans help in covering the 30% cost of outpatient doctors, procedures, and tests that are not covered by Medicare. From now on, there is no Open Enrollment for out-of-staters. If they wish to change health plans in the future, they very possibly would be subject to underwriting: that is, subject to decisions on pre-existing conditions, on exclusions, and on age of the retiree. None of these apply to in-state retirees with UC sponsored health plans. If currently out-of-state retirees move back to California, they will be ineligible for the same plans that current retirees can access. Also, the policies brokered by ExtendHealth are state-specific, so any retiree who moves would be again subject to likely changes in costs and coverage. A class of retirees are being booted off UC health care based on their residency outside of California. If it were a question of UC's poor coverage out of state, then retirees would logically be allowed to reenroll in UC health care, but that is not the case. This struck me as another example of discriminatory treatment based on an arbitrary class characteristic. But unlike the case with UCSB Tier 1, this discrimination was initiated by UCOP. The letter prompted me to listen to the Regents' meeting discussion of retiree health care that Dan Mitchell had posted in November. The UCOP leads are VP Dwaine Duckett and EVP Nathan Brostrom, with a Deloitte benefits consultant in attendence. After the presentation, Regent Hadi Makerachian asked a series of questions, starting with why they are doing this change with this group of people. The first answer was that it saves UC $2000 per out-of-state retiree per year. The average cost to UC under the existing system was $5000 per year, and UC will now give that group of retirees $3000. The second answer was that there is a risk transfer from UC to the retiree: in Mr. Brostrom's words, there's "more of an obligation on them as consumers of health care." In addition to saving annual costs, UC's long-term liability is reduced by $700 million--or "a 50% reduction in total liability just for this population." Third, Mr. Brostrom claimed that this will improve out-of-state retiree health care rather than cheapen or downgrade it. 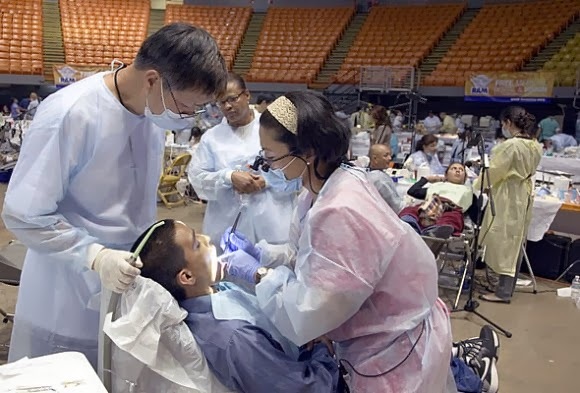 Fourth, Mr. Druckett said that "it is a way to take a small population to see how the exchanges will work, rather than trying to convert the entire retiree health population inside of California and outside all at one time. . . . I would not call this a pilot by any means but it is a way for us to see if gradually this would work where coverage is not as good for our retirees." In other words, this is a pilot. It's a pilot for the conversion of UC retiree health care. One of the things also being piloted is whether there is much pushback from employees. We have been looking at this, Regent Makarechian, and we thought this was a good cohort to start with because frankly their coverage was going to be getting better. . . .To the governor's point about how people don't like disruption and change, we've gotten a lot of blowback from this plan, but we think it is the right direction to move in, and we've given Dwaine a long-term target of flattening our health care costs, and these are some of the steps we're taking to try to do that. Mr. Brostrom had just estimated Obamacare as adding 2-3% (I assume per year) to UC health care costs. Thus Mr. Duckett's job is to cut health care costs by 2-3% year--and probably twice that, given normal cost inflation in the sector. Given the flat revenue picture, this suggests that cuts to total compensation are to remain UCOP's annual project. The governance of the constant cutting becomes a paramount issue. Academic Senates work well in a collegium, to use Jim Sleeper's phrase for the desired structure of liberal education. In that context, information is shared across roles and specializations, and decisions are meaningfully participatory. Financial managers share information with administrative personnel and chemistry department faculty, for example, and then decisions are deliberated and to some extent jointly decided. It assumes a rough equality of status--which is why it can work well among professional colleagues but in universities has generally excluded non-academic staff. The Senate model still functions in some precincts of academia. When I gave a lecture a couple of years ago at my alma mater, Reed College, some Senate faculty told me that they were then deciding whether the Economics department would be allowed to offer an above-College salary to candidates for a hard-to-fill position. Majority opinion was leaning toward "no." Some Reed faculty opposed the Senate's involvement at this level; others felt it was essential to faculty governance. A Senate could of course decide either way while retaining deliberate authority over all major policies, as the foundation of a college that is constituted first and foremost by its faculty. UC is the original corporate university and it has never worked this way. The entire sector has become quite a bit more corporate over the past thirty years, and this has increasingly marginalized the Academic Senate. What we have now is a fairly straightforward managerial situation. UCOP has ownership of financial information, which does not circulate, except in limited form to Senate committees, which do not circulate that information to their membership. Second, UCOP has ownership of decision rights. A major symptom of this arrangement is that retiree health benefits do not belong to the retiree as deferred compensation, but to the University, to be managed according to its needs. Most UC faculty are anti-union: the faculty is not going to unionize anytime soon. But the more frankly managerial nature of UC governance puts faculty more obviously in the structural position of labor. UC Care is a prime example. Faculty are subject to the same changes as all other staff, to which none were asked to consent. And yet unionized staff do have some authority via the practice of collective bargaining. In an era of compression of total compensation, UC faculty are less likely to put their energy into upgrading governance than into beneficial private arrangements. But that's not going to change the downward trend. I thus recommend continued pushback on the health care plan. The Faculty Associations are doing this, and I hope the Senate joins them. The exchange that stays with me from the retiree health care discussion is this. Regent Makarechian: They have all agreed to this? Mr. Brostrom: We have implemented it, yes. A group of us just realized that the 20% for use of Tier 2 would affect many people who have dependents living out of state--grown-children students taking a gap year, students in boarding schools, students just graduated. An accident and hospital stay for these families would be devastating, as they can no longer enroll in the Anthem Blue Cross guest HMO. And perhaps even worse, retirees on the UC pension living out of state would be in the same situation. I can tell you that my colleagues have no idea of any of this. I am shocked to learn today that my prescription expenses will increase 500-600% switching from Anthem PPO to UC Care. While their benefits look pretty much the same on the material sent to us, it is not quite the case when you dig in. It comes down to this in my case: Anthem calculates a $45.00 copay for drugs that are not on their "preferred drug list" while UC Care, via Blue Cross, calculates a 20% co-insurance for a drug that is not on their list, with a $3000.00 maximum. I have to have shots that are not on either insurer's lists and that cost $1800.00 to $1900.00 a month. Under Anthem I was paying $45 x 12 = $530 a year. Under UC Care I would have to pay $1850 x 20% x 12=$4440, meaning each year I will pay the $3000.00 maximum. I found this out just today from one of the "Concierge" at Blue Shield and I find it simply outrageous. It is outrageous that we are told that coverage will remain pretty much the same, outrageous that UC Care manages to hide so well the real costs to us, outrageous that Oakland did not notice or chose not to notice the real costs to its faculty and retirees. My question to you: is there something you can do about this? and if not, what do you suggest that I can do? The answer appears to be no. This is a sizable pay cut, particularly for a retired person. All is, of course, not lost. If you are insured as an individual, your Tier 2 co-insurance contributions are capped at $3,000.00 per year. After that, UC Care pays for everything. Were you also to sign up for an HRA spending account, you could accumulate $2,500.00 in tax-free dollars each year to help with co-insurance costs, and save a little money that way. Still, many of us would find being out-of-pocket for @$2,200.00 an unwelcome challenge in these diminished times. Note, too, that the Tier 2 cap for families is much higher than the cap for individuals. And should we need, while in hospital, to consult a doctor who is not a designated UC Care provider, we would still be responsible for 50% of those costs. UCOP officials insisted that UC Care was not about shifting health costs from employer to employees, and the initial publicity spotlighted the drop in monthly payments in moving from Anthem to UC Care. But sizable cost shifting is indeed occurring, with the burden shouldered first by the chronically (if non-catastrophically) ill, and those with serious but manageable permanent conditions. What is happening with the project of Tier 1 hospitalization that I noted a couple of weeks ago was still incomplete? The short answer is nothing for this year. Riverside Community Hospital, the best hospital in the area and a partner with UCR's new medical school, is not included in Tier 1 (UC Select). If enrolled in UC Care, the faculty in the Medical School will not be able to use the hospital where they're training their students, unless they're willing to pay Tier 2 copayments. The nearest UC Select hospital, Parkview Community Hospital, does not have a trauma center. The only hospital in Davis is not in Tier 1, Santa Cruz staff will be driving to Palo Alto for Tier 1 clinical care, and so on. Various complaints we've received suggest that staff at the non-metropolitan campuses will pay more to use UC Care locally. In Santa Barbara, the inclusion of Sansum Clinic in Tier 1 was the result of an executive buy-out for 2014. The deal is off for the years following, pending more successful negotiations. Cottage Hospital is accessible through Health Net and through Tier 2, but it appears to have had no interest in negotiating Tier 1 with UC. I was told that UCOP was looking for a per-patient employer payment keyed to their stated costs at the nearest UC Med Center, and the Sansum wanted 50% more. UCOP apparently was willing to do a one-year top-up for UCSB employees with Sansum, but not with Sansum and Cottage. I suggested a version of this employer buyout of employee deductibles on the principle of insurance cost pooling, in which individual and group differences come out in the wash. I conclude from my conversations that UCOP rejects this principle and continues to see the UC system as a set of separate cost pools for the purposes of health insurance. As UC Care continues into out-years, Individual campuses will be expected in effect to self-insure and cover their own costs--except that UCOP controls the overall structure and will not support campuses in cutting their own deals with local providers. In a sense, this is worst of both worlds: UCOP not delivering on the savings of "strategic sourcing," which is supposed to give everybody volume discounts, but individual campuses can't go it alone with local medical groups whom they generally know face-to-face. UC Care deductibles are lower than these, but the lower-premium higher-deductible is the same. The scheme is souring potential beneficiaries on Obamacare, and it's not helping relationship within UC either. As Lindsay Thomas's critique of the American Academy's The Heart of the Matter makes clear, the increasingly conventional effort to justify the humanities in terms of a narrow notion of utility leaves a great deal to be desired. Instead, people working in the humanities and social sciences will need to resist notions of utility imposed from without and also imagine their own way for developing new, intellectually creative, and expansive agendas for teaching and research. One approach that is rooted primarily in the digital humanities is to remodel humanistic activity on the model of scientific groups and grants. I have no problem with learning from the sciences especially from their practices of collaborative groups. But the fetish for "grand challenges" while understandable from a tactical fundraising perspective ignores important parts of the purpose of the humanities and interpretive social sciences--particularly their relationships to ethics in the process of scholarship. What I think is a far more interesting and challenging idea was raised by Eileen Joy in a post at the Medieval Studies blog In the Middle. The university as a publicly-supported institution [in all of it various forms, from the Ivy League school to the community college] has long served as a critical site for some of the most important humanistic-scientific-technological-etc. innovations in human history, while it has also fostered the value and practice of lifelong learning, of critical thought, of experimentation, of open and perpetually unsettled inquiry, to what might be called the arts of everyday life. And I don't believe this institution is just going to disappear in some sort of cataclysm, although I would place my money on some severe, austere diminishments in the near future. Joy's account of this likely "severe" and "austere" diminution is familiar: MOOCs, reduction in public financing, worsening working condition for faculty--especially non-tenure track faculty--loss of control over our work through increasing corporate control of intellectual products, etc. The fact of the matter is -- whether we inhabit student desks, tenure lines, adjunct positions, or post-graduate/never-graduate somewhere-other-than-here positions -- now might be the time to take a bit more seriously alternative spaces [which might never be "permanent" or "institutional"] for learning, for inquiry, and for knowledge-culture production. At the same time, we insist on perversely-hopefully laying claim to specific subject areas -- medieval studies, for example -- as collocations of objects and trajectories of thought that we desire to hold close to us, while also placing them in certain perpetual tensions with everything else [even ourselves]. Forms of thinking matter, and there is no need to discard anything. Every area requires special curators and we should seek to increase the ranks of those, for this is a matter of the care as well as of the increase of knowledge. "Curating" is, of course, a complex term. It harks back to churches and curates; it has an unavoidable ring of the spiritual. But in this context, and despite Joy's training as a medievalist, I take its reference to be to the curating that takes place in museums and libraries as well as congregations. Although Joy's post mostly emphasizes the creation of new spaces outside the university (like Punctum Books for instance) it seems to me that curating may be a way to rethink our practices within universities and colleges and also a way to think about the relationships between what we do in our institutions and what we might do outside our institutions. Two preliminary points are crucial here: first is the acknowledgment that we are drawn to particular areas because of the issues or ideas embedded there (and not because it would make us good readers or contextualizers) and the second that the knowledge that we produce is itself worth defending because of the insights it brings to the world. The humanities cannot survive as a simple set of capacities; it must defend its claims to knowledge and to think through the dimensions of that knowledge and its production. As Joy notes, we tend--despite whatever commitments to method or theory we have--to take our specific research subjects seriously and personally. To actually curate our fields today, though, means doing more than simply teaching or writing about them. Despite (or perhaps because of) the growth of digital capacity, the basic infrastructure of humanistic knowledge is being dissected: libraries cannot buy enough new books, journals and university presses are under intense financial pressure (and UC's open access policy will not help here), departments are being closed, fewer and fewer faculty are being hired on the tenure track. All of this is well known of course. But if faculty in the humanities and social sciences do not take more collective responsibility for the institutions that make our scholarship and teaching possible and work in solidarity with institutions or other departments then our students will find themselves without a sustainable field to work in. We need to acknowledge the centrality of the sustainability of the humanities infrastructure and of the crucial task of the university as a place for conserving knowledge as well as producing it. At the same time we need to recognize the importance of the traditions of thought and practice in our various areas. Joy's notion of "trajectories of thought that we desire to hold close to us" is important here: we cannot succeed by turning away from what drew us to the humanities or interpretive social sciences in the first place. And we need to articulate the meanings of those trajectories in their "untimeliness" today. We can probably all agree on the importance of protecting resources for humanities research. But the question of curating people is more complicated. But I think that implicit in Joy's formulation is the notion that faculty will need to intensify their relationship with teaching, training, and developing students and not because our employers want a speed-up. Faculty in many fields in the humanities and social sciences (and probably in the sciences as well although I am less sure) have benefited in many ways from the lack of system in programs. But if we are going to find new ways to manifest the importance of humanities and social science knowledge we need to move beyond the consumerist model of course choice and begin to think about how to design programs. Moreover, faculty at many research universities will need to assume more responsibility for advising. To be sure, a great deal of faculty advising does take place. At liberal arts colleges faculty are deeply involved with advising undergraduates and at research universities they are involved in advising graduate students. But there is a large lacuna there: undergraduates at large research institutions. In these situations students are left to overworked staff advisers. In those settings (like UC) faculty will need to take more responsibility for the intellectual development of their students both undergraduate and graduate. Disciplines in the humanities and social sciences often claim that their teaching and knowledge is designed for transformation; but without figuring out ways to make that part of the intellectual process of education it rings false. If we are going to curate both objects and subjects we need to also recognize the personal dimension of our commitments. We teach and write about them because we think that it is important that they be preserved and extended in some way. But we do so because we find them personally engaging and challenging. But insofar as we claim that our knowledge can be transforming, we might give more thought to how, and if, it is transforming ourselves. One way, as I already suggested, is in taking greater responsibility for the conduct of our programs as they relate to students. But another is taking greater responsibility for our conduct as it relates to the larger project that the humanities and social sciences engage in. But that means, I think, making a collective project that links our commitments to our own specific subjects (and our commitment to curate them) to a larger project within universities to protect the wider range of humanities and social science scholarship. The structure of the university and college now is such as to pit department against department and division against division. But it is not hard to see that the struggle between departments, or the willingness of some to place their own self-interest against a more collective project will, no matter how successful in the short run end up weakening the entire range of scholarship. And in a scholarly world where disciplines and subjects depend more and more on the knowledge of others this end will benefit no one. Finally I think we might take some lessons from museums and libraries because it is in those latter spaces that curators and librarians aim to develop public knowledge. For in curating you not only preserve but you present. Let me give one example of the interplay between curating, knowledge, universities, and museums. It is not singular (scholars work with museums all the time). But it does offer an alternative to the now obligatory emphasis on the digital as the way to touch the wider world. 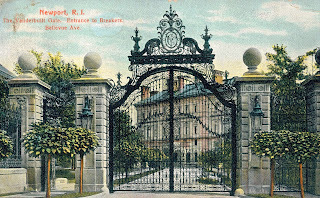 This fall, the New York Historical Society opened an exhibit honoring the centennial of New York's Armory Show of 1913. The exhibit took up the issue of the relationship between art, society, and politics. 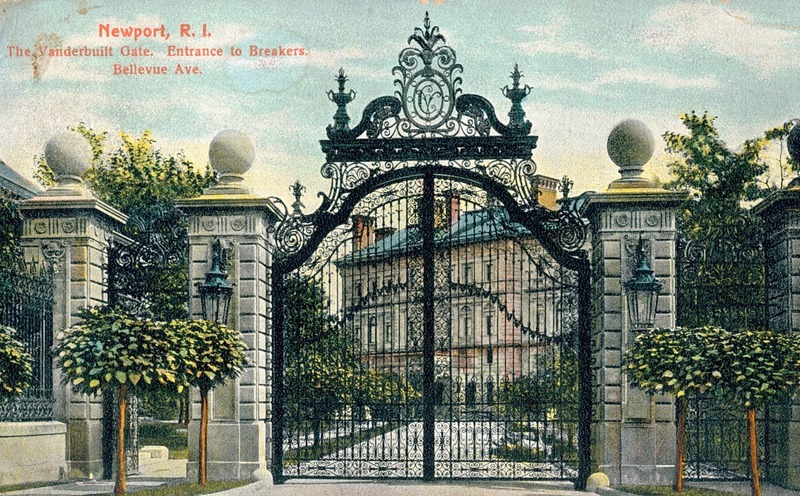 Central to the success of the show was the work of a historian (Casey Blake of Columbia) in tandem with art scholars, museum curators, planners, artists and the Historical Society leadership. These sorts of exhibits raise dual challenges. The first was actually producing the knowledge needed to help stage the exhibition and the second was figuring out how to convey that knowledge in ways that would engage the audience. Now I understand that curators are faced with this all the time. Indeed, in our classrooms so are we. But these were designed to bring the work of university research to bear on an issue of public memory and interest. And there is no shortage of people who are interested in these issues. Just as important though, is the fact that exhibits like this are self-consciously about both producing knowledge and preserving subjects and objects. Any effective defense of the Humanities will have to begin with the same self-consciousness and the same ends. In June 2013, the American Academy of Arts & Science’s Commission on the Humanities and Social Sciences released “The Heart of the Matter,” a report meant to “advance a dialogue on the importance of the humanities and social sciences to the future of our nation” and to inform policy makers and the general public about how best to support the humanities and social sciences (6). Unfortunately, the report repeats some familiar tropes about the value of the humanities: tropes that ultimately may do more harm than good in advocating for the value of the humanities. One trope on which the report spends much of its time is that the humanities are valuable because they teach us useful skills like “skills in communication, interpretation, linking and synthesizing domains of knowledge, and imbuing facts with meaning and value” (35). The report emphasizes that these are the skills employers today want because they are “essential for the inventiveness, insights, [and] career flexibility… of the American people.” (18-19, 33). In this view, the humanities are important primarily because they teach students skills that will be valuable for their future employment in other fields. Another familiar trope the report repeats is that the humanities are valuable because they are the foundation of our cultural heritage and because learning to appreciate this heritage leads to personal fulfillment. The report claims, for example, that “millions depend on these disciplines in their daily lives as a perpetual source of pleasure and enrichment” (49). 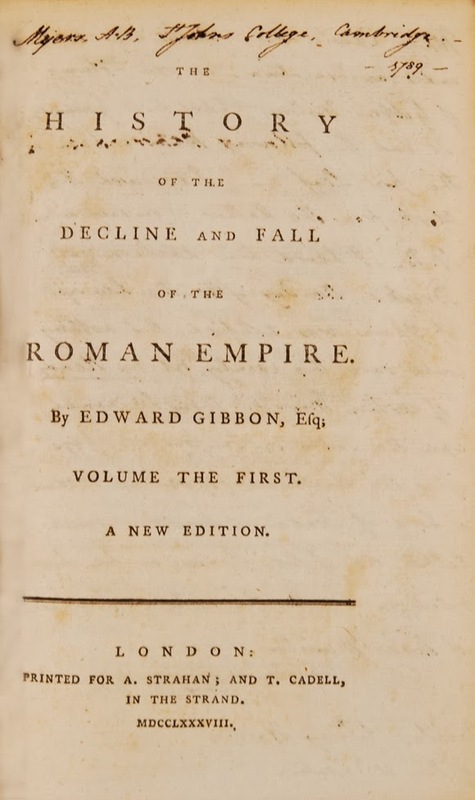 This understanding of the value of the humanities is so familiar that the title of the report itself gestures to it: the humanities are “the heart of the matter, the keeper of the republic – a source of national memory and civic vigor, cultural understanding and communication, individual fulfillment and the ideals we hold in common” (9). In this view, the humanities are important because they preserve our cultural heritage by teaching students skills of appreciation. There’s a lot that has been said about the limitations of this narrow understanding of the value of the humanities. There’s also a lot that has been said about the value of instrumentalism in general. However, the problem here isn’t that the report frames the value of the humanities as utilitarian. This is a familiar argument on which many defenders of the humanities have staked their claims for years, and it’s not wrong. The humanities do teach students skills with practical importance, they do teach us to better understand other cultures and ourselves, they do show us how to live more pleasurable lives. Rather, the problem-- which is by no means limited to this report – is that the humanities in both their employment and heritage forms are framed according to a particular understanding of utilitarianism: the transmission of specific skills. Defining the value of the humanities solely and most emphatically in terms of the skills they can teach empties humanities disciplines of their content. The implication is that the most important thing humanities disciplines can do is to teach such skills, and whatever discipline-specific knowledge they may also transmit along the way is simply a byproduct of teaching this set of skills. The report’s emphasis on skills over content occurs even when it specifically addresses humanities research, or the production of knowledge, itself. For example, the most sustained definition “The Heart of the Matter” gives of humanities research is that research in the humanities “enables us to see the world from different points of view so that we may better understand ourselves” (38). This definition frames the purpose of humanities research as helping us to broaden our perspective and to understand ourselves better, not as making new discoveries and producing new knowledge about our past and our present. Such a definition, again, reduces the production of complex humanistic knowledge to the transmission of generally applicable skill-sets. This reaffirms one of the major criticisms leveled at the humanities today: that the subjects humanists study are impractical, useless, and unimportant. By defending the value of the humanities on the grounds that the most important thing humanities disciplines do is teach important skills, we concede the point that the specific knowledge humanistic disciplines produce is unimportant. If we want to defend the humanities as academic disciplines – if we want to defend the university itself as the place where academic research happens – we need to alter this framing of the humanities. What would it look like to defend and advocate for the specific knowledge humanities disciplines produce, for basic research in the humanities? We could take our cue from the sciences, which have been doing this kind of advocacy work for a long time. For example, Lawrence Berkeley National Laboratory has produced a poster that features a list of “29 Breakthroughs” the lab has made possible. These range from basic research like the discovery of dark energy to more applied work like the invention of a faster and cheaper water purifier. Theoretical advances in dark energy are not immediately “useful” in the sense that they aren't currently being used in any applications, but that doesn't mean they don’t have use value. This strategy is effective because it intersperses less immediately practical theoretical advances among more recognizably practical, high-impact work, showing the value of the full range of scientific research. Could we develop something similar for the humanities? Could we develop posters that feature, for example, high-impact or more immediately practical work in the humanities like the discovery of previously unread letters written by Benjamin Franklin or projects like Timeslips, which aims to improve the lives of people with Alzheimer’s through storytelling, alongside more theoretical advances in gender theory or topic modeling? The humanities teach students valuable skills, yes, but they also produce valuable knowledge about the world, knowledge that is not always immediately “useful” but that has use value nonetheless. It’s time we started advocating for this knowledge itself – and its usefulness for our world – as a cornerstone of what the humanities can teach us and of what humanists do. Why does it cost too much to build offices for medical faculty in Mission Hall? UCSF is one of the country’s great medical schools, and after hitting space limits at its main Parnassus campus in San Francisco, and scattering itself around town, it acquired a prime piece of land near the city’s central waterfront on which to build a new campus, called Mission Bay. The first parcel of about 43 acres was acquired in 1996. 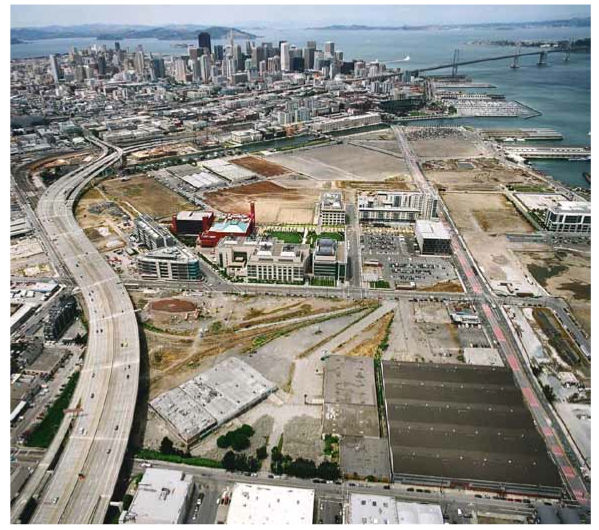 It was followed by 15 more acres in 2007 on which to build what will be UCSF Medical Center at Mission Bay. The new campus’s first building, Genentech Hall, opened in 2003, and it has continued to grow ever since. The aerial photo shows what a wonder the whole thing is. The new campus is actually getting built, and you’d think that everyone would be jumping for joy. Instead, the office design of the next new building has caused a major faculty outcry, and produced some of the bitterest faculty comments about a university policy that I have read. The reason is that the 700 faculty--and 800 staff--slated to move to this state-of-the-art medical building in 2014 are not going to have offices. They are to work from open-floor low-rise cubicles instead. Let's set the scene with some pictures. Here's the building in question, initially named after the block on which it sits, 25A. It is directly across the street from the Medical Center that is going in just to the south, in the foreground of the photo. You can see the placement of this building on the campus, in red. The office building is across the street from several hospitals to come. Now let's go inside the building. 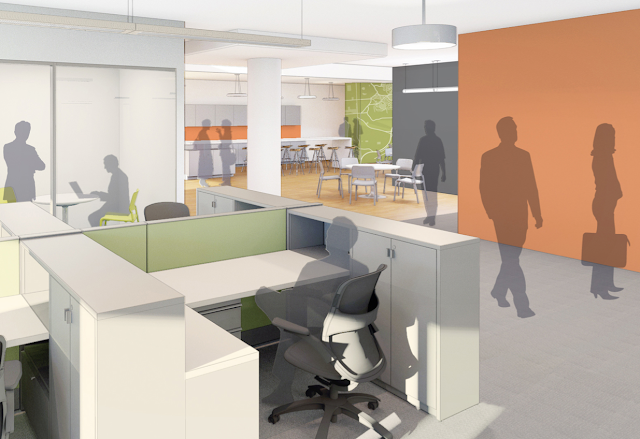 The floor plan (not shown) is "open office": all faculty desks will be located in an open central area. The open space will be combined with three configurations of "focus rooms" whose doors can be closed either for solitude or for meetings. Here's one view, with a faculty workstation at center-left, a large meeting room to the right, and a smaller focus room straight ahead, shaded in yellow. A second image also stresses circulation through the faculty workspace. The faculty member appears to be looking at a meeting taking place in the focus room directly in front of him. A food court is off to the right. To his right is a cabinet that is his storage area. Although all faculty will have access to the focus rooms on a first-come-first served basis, only heads of departments and other administrators will have private offices. In other words, this shadow professor is seated in his office. 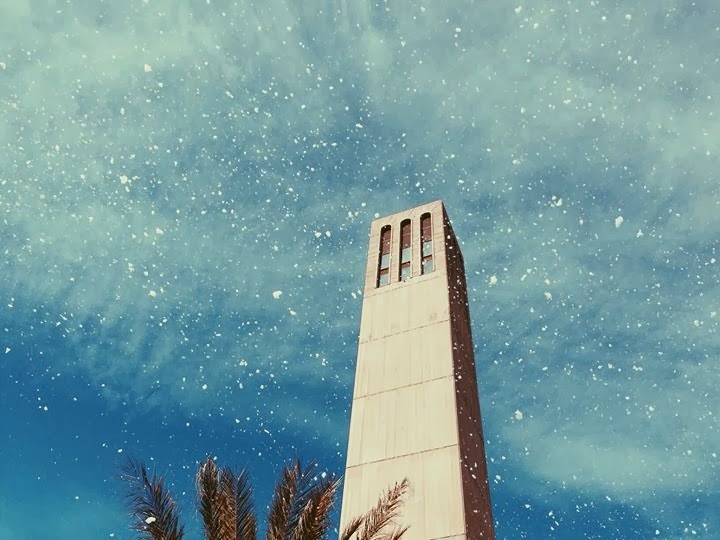 Update 11/25: An administrative participant tells me that "Heads of departments, other administrators and the Chancellor will have work stations only--not private offices." While staring at the plans, I came to focus on three features. One is a high-density use of interior space: the workstations are lined up with their ends towards the windows, so that most of the workstations are away from them. Some of the exterior walls are taken up with focus rooms, but most of these rooms lack exterior windows as well. Second, the design puts sociability ahead of everything else. A couple of decades ago the model might have been a newsroom, but the model here seems to be an architecture studio or Google-Genentech, where executives sometimes enthuse that the open office stimulates collaboration and creativity. The researcher will not have dedicated individual space with enough privacy for work that "requires intense concentration," as one commentator put it. Nor will clinicians be able to offer mandated privacy to patients at their desks. Update 11/25: I have been told that all patient contact will occur "in outpatient building or hospital across the street," and that per consultation with UCSF's Privacy Office, "patient charting and phone calls can be done at the workstations." Third, sociability is defined as circulability and transparency. It looks as though everyone is supposed to be able to see everything in the workspace at all times. The focus rooms have doors that close and walls of glass. I am told that the UCSF chancellor will have an office in the new building, with walls for security purposes. But her walls will be made of glass as well. Update 11/25: I am now told that, in spite of these illustrations and other testimony, all focus rooms will have "sound proof, dry plaster walls" and doors made out of frosted glass, so that "it should be possible to know that a privacy room is occupied but not by whom or how many." 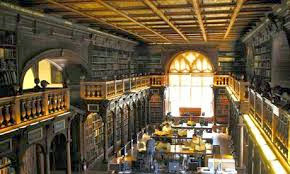 In addition, the Chancellor and her staff are said to be destined for workstations as well, with a glass security wall. 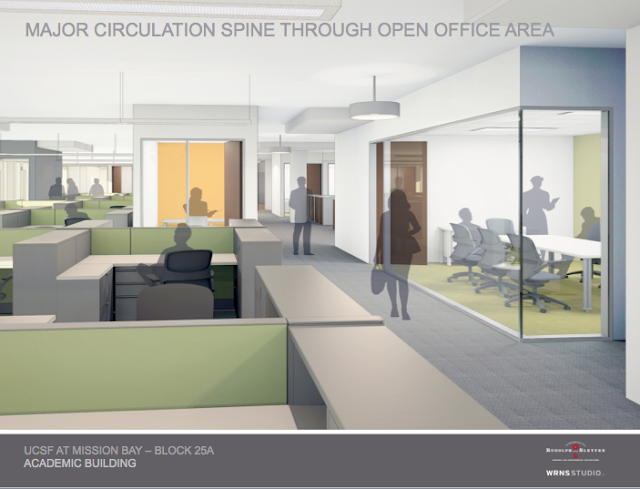 In this project, UCSF is introducing a new Activity-Based Workplace (ABW) model for office workspace. An ABW is characterized as an open work environment, without enclosed offices. This environment supported by a rich array of alternative work and support spaces (including enough small private meeting rooms and unassigned offices to be used when quiet space is necessary) that can be used spontaneously without prior reservation when spaces for private communications, undisturbed concentration, or meetings are required. This is the theory. To learn more about the history and the practice, I reviewed as many documents as I could find and spoke to half-a-dozen UCSF faculty and administrators. I told one I wanted to ask her how she felt about the plan to put faculty into cubicles. "They aren't cubicles," she replied. "Cubicles" means you have half-walls that give you visual privacy. This is like working in a library with a 18-inch separator--only without the quiet. OK, we'll use their term, Activity-Based Workplace? No, it's not an activity-based workplace. No one did a functional assessment of what faculty do in their offices, which in the case of these faculty is an especially wide range of different things. This is an occupancy-based design. It is designed to get a lot of people into a set space at a relatively low cost. People are going to have a variety of needs and none of these were taken into account. This was one of the milder criticisms I heard from faculty members. The written record is quite a bit worse. The UCSF Senate set up a web page to collect faculty comments on ABW. By May 8th, the pdf version ran to fifty single-spaced pages (pp 17-67). They were classed into 10 categories. I'm going to quote a selection of them, at more then the usual length, before offering some thoughts on why ABW has happened in Parts III and IV below. I provide these extracts here, and encourage reading the others, because the working life of university professions is a widely misunderstood public issue. Even in the wake of studies showing that faculty work 60-70 hours per week on average (see, e.g., "Good and Bad in the Teaching Report"), politicians and others regularly exploit the suspicion that in the normal sense faculty don't work much at all. The UCSF faculty have done us all the service of providing detail about what they do during their working day. Many faculty were frankly stunned at what they saw as the obvious lack of fit between the proposed faculty workspace and actual faculty activity. Many comments claimed that the open office would make compliance with HIPPA patient privacy law somewhere between inefficient and impossible. As in this last case, most of the comments treated the core issue of work quality even when focused on something else. Faculty felt that the open office would interfere with their work processes, hamper their creativity, and reduce their productivity. As a new faculty member and physician scientist, I can see how an open model withcubicles could foster collaborations. However, the role of a PI requires a balance between individual effort and collaborative effort. The majority of my time is spent meeting with trainees, reading, writing, meeting with collaborators, and managing my patients. Having a private office is critical to successfully completing all of these tasks since many of these conversations are confidential (ie patient care; feedback to a trainee; current lab strategies) or require concentration (ie grant writing especially in this environment.) Can you imagine having these types of conversations or spending all of our time in an environment like a coffee shop? The Mission Bay Academic Building, with its 'activity-based workplace' consisting of 40 foot cubicles, is an ill-conceived, wrong-headed misadventure that will deeply, possibly irrevocably, damage UCSF. Its design is based on the utterly misguided and totally untested notion that the working environments used by the electronics industry for teams of baccaulaureate-level technicians and engineers, working together on specific projects, is somehow translatable to university-based academic physicians. It's not. University-based academic physicians are more than mere 'providers'. We teach at multiple levels; students, residents, fellows, junior faculty, in addition to nurses and other ancillary medical personnel – but one cannot teach in a beehive. We write grants, papers, book chapters, manuscript reviews, grant reviews, evaluations and letters of recommendation — but one cannot be creative in a phonebooth. And we discuss patient care with patients, families and other healthcare professionals – but we cannot do this in a public venue. No study has been made of UCSF faculty activities and what space and environment is needed to facilitate essential functions. No solicitation for opinion or advice went to the faculty; this is being forced down our throats with the same foresight and dexterity as the aborted UCSF-Stanford merger, and will be equally successful. No other University or medical center has tried this; it is terra incognita, and we are setting sail without a map, a compass, provisions or leadership. A number of faculty saw the degradation of workspace and of their creative process as reducing UCSF's stature, leading to new problems of retaining and recruiting faculty. By my rough count, faculty sentiment ran 100% against the ABW office format. There were some comments that made helpful suggestions for adapting. But the number that actively supported ABW was zero. 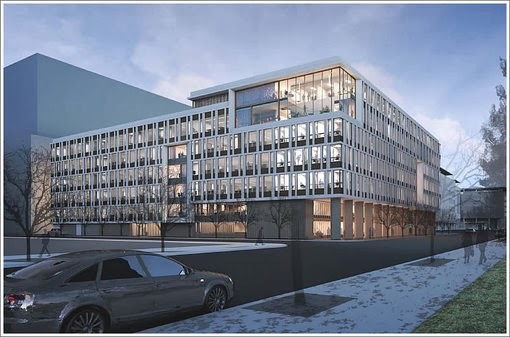 In sum, a brand new office building is planned for years and receives final regental approval, only to be overwhelming opposed by the affected faculty. Why did this happen? One reason is that that administration, its planners, and its architects, thought that ABW was a very good idea. They still think this. A participant told me that UCSF has been running into space constraints for years and years--many of the staff and faculty slated to be moved into what is now called Mission Hall are currently working in leased office buildings in various parts of the city, and the new buildings would allow them to be brought back to campus. But the extra space wouldn't last long with traditional offices. This worry was crystallized by a decision to consolidate off-campus research units, which meant using Mission Hall not only to house staff who worked in the new hospitals across the street, but also the staff, mainly clinical and field researchers, being brought home from leased office space. 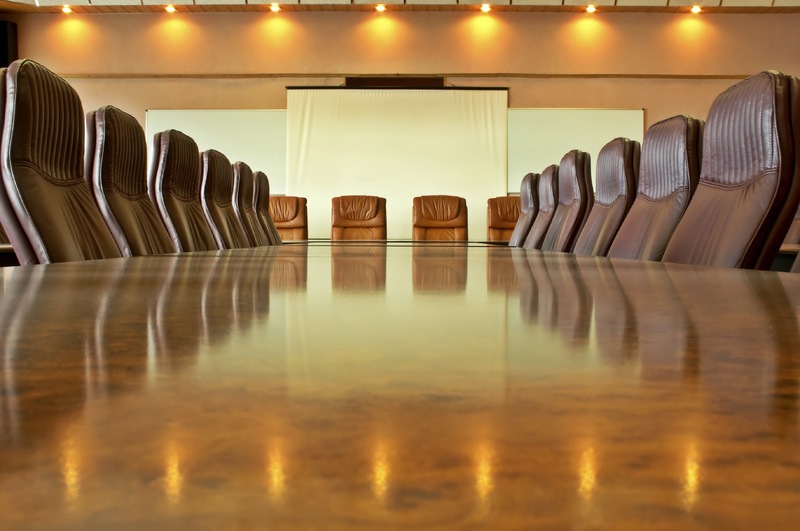 The stakeholders planning committee did consider two other options -- traditional offices, and a hybrid design with offices and workstations, but rejected those for at least two reasons: the latter would create the "political nightmare" of deciding who did and who did not get an office, and neither plan allowed for growth. The administration was concerned that it would spend $118 million on this new building (page 135) and be up against a space limit almost as soon as everyone actually moved in. The designers also saw the open office as creative and inspiring. Rather than describing it as a symptom of UCSF's decline, one told me, they thought the statement was, "UCSF is innovative." We're doing something unusual. It's original. And we won't have the problem of faculty offices that are 50% unoccupied even during the day. It would be a comfortable space with good light. I wouldn't call this decline. I would call it a step forward in how to steward university and public resources. I understand their concerns, and I would have them too. They've never worked in a design like this. But the open space is like a library. You do your ordinary work there. But you can answer a phone there. There's a noise-cancelling system in this space. You can't understand people who are 20 feet away from you. You can certainly answer phones in these spaces, have low-volume conversations in them. Because other people are there, you have to build a culture of quiet. In other professions, like architecture and law, they work beautifully. People keep them quiet, and they do most of their work there. If you want to have a consultation or write a grant, you can go into a focus room. There are 376 of these focus rooms in the building. There's one focus room for every four workstations. there will be roughly 700 faculty in the building, maybe 350 at any one time, plus another 700 or 800 staff. So there should be no problem with anyone having a focus room at any time. They are ten feet away from the workstations. You can turn your head and find an empty one. But [I interrupted] there's no wood door you can't see through, behind which you can bang your head against the wall or burst into tears or whatever your ritual is. No that's not true. You can close the door. And you can stay in there for a week to write a grant. You can do anything you want with those rooms--except turn them into private offices. This particular conversation took place at the end of October, so I'm assuming that most if not all of the administration still feels that ABW is a good idea, and that once faculty try it, they'll like it. A second source of the conflict between the open office plan and its faculty occupants surfaced a month after the Regental vote ratifying the academic building project. On December 18, 2012, Divisional Senate Chair Robert Newcomer wrote to an associate dean in the School of Medicine that the Senate had not only not been consulted, but had been actively excluded from the planning. Despite repeated efforts by the Academic Senate Clinical Affairs Committee (CAC) starting in 2007, faculty concerns about the need for faculty office space and education space in the new hospital were not addressed. CAC eventually learned that faculty offices and education space would be located in a separate building; however, the plan for the activity-based workspace was not discussed with CAC. Meetings with faculty and departments were "information only," not iterative consultations, and came late in the process. . . .[W]e know that there were no meetings involving the Pediatrics faculty or its leadership about this issue until it was a fait accompli, and the meetings were just for information, not input. One meeting told us about the existence of the activity-based workplace model a couple of months ago, and another meeting described its structure and function. There was no "upstream engagement" with the future users of the building--neither with the faculty in the relevant units nor with the Academic Senate as such. The administration's consultation was with the "stakeholders committee," but the term "stakeholder" is vague enough to allow avoidance of the kinds of early "iterative consultations" with actual faculty that shared governance requires. One administrative participant told me that this committee did have faculty members, but none represented the Senate and all were in leadership posistions--deans and department chairs among others. He agreed that the Senate should have been involved, but that faculty have never been involved in building planning before. Space design is a specialty in its own right that deserves respect. "Medical faculty don't understand it," he said. "They don't live it day to day. You can't possibly get your arms around it. How can somebody running an NIH-funded lab think about space everyday? I hope they're aren't thinking about space." But, he added, "We will now have the Senate participating." Medical researchers aren't thinking about space every day, but they are doing their jobs every day in specific spaces. This produces the deep experience about office needs on display in the responses I cited above. Early iterative consultation would not only have unveiled the objections but may have produced a better design, one that won't have to be "mitigated" at additional cost. Although there’s as much money coming to this campus from clinical as from bench science research grants, this design treats clinicians as second-class. The bench scientists have new facilities with all these huge private areas. People who deal with patients or do field research—where UCSF is a world leader—are being stuck in non private spaces where they will struggle to do their basic job. This is terrible planning from that point of view. Obviously the campus really values basic science. The lovely space is a recruitment device. People associate labs with the biotech industry and think well, we’re losing money now, but when funding gets better we’ll have a huge group in place to churn out intellectual property and profits. This has been a standard way of thinking about academic science—that laboratories are an investment with a future upside, while instruction and clinical research are costs that the institution itself does not recover. I’ve critiqued this revenue model elsewhere, but even were it correct, ABW uniquely concretized an implied hierarchy and intensified faculty resentment. Finally, a fourth source of the conflict between the building plan and faculty offices is money. There are multiple problems here, and I'm going to scratch the surface and make some educated guesses. UCSF has been adding a new campus, and there is continuous pressure on the budget to cover a $1.1 billion capital program, of which $926 million is non-state funded (p 136). 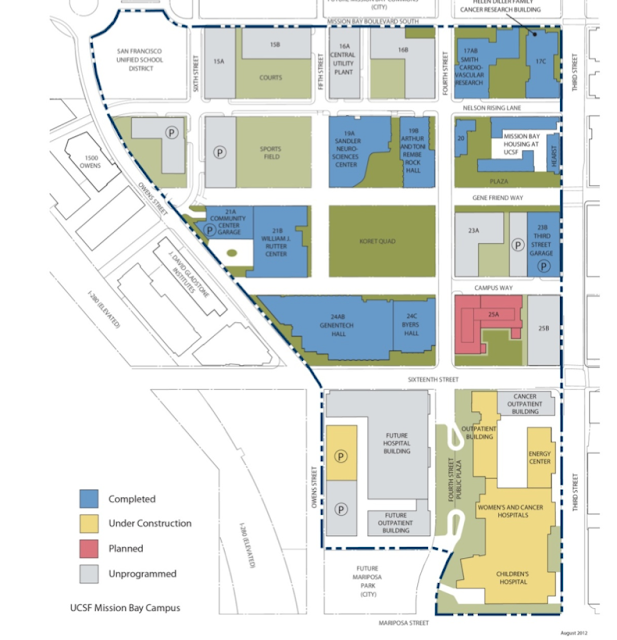 UCSF built more of Mission Bay more quickly than it had expected: the 1996 long-range development plan (LRDP) projected total costs of about $200 million in the first 16 years, and slower use of the maximum permitted square footage. UCSF also has two major buildings on the Parnassus campus that need seismic retrofits amounting to rebuilds, along with other repair and maintenance issues. UCSF's medical enterprise generated nearly $2 billion in gross revenues in 2011-12, and UC's immediate past president often praised "our medical business" as making money while the campuses were allegedly losing it. But this revenue comes with many costs, including the restart of employer pension contributions and other rising costs. The campus ran $288 million in the black in 2011-12 (comparing Schedules A and D), but I am told that internal ten-year projections show UCSF's operations budget falling into the red by 2015 and staying there through 2021. In January 2012, Chancellor Susan Desmond-Hellman warned the Regents that UCSF costs were rising faster than revenues, and in the process tried to claw back some of the $49 million administrative tax her campus was to send to UC's Office of the President. In a statement that you can watch at the link above, the chancellor described a highly complex business model in perpetual adaptation to a super-competitive medical marketplace. Is the model fragile as well? That was my sense as I listened to the chancellor and then read quite a few capital projects documents (with valuable help from my non-UC research assistant Jessica Cronin). The medical center sounds like it has low or at least unpredictable margins that could flip from black to red with a few changes in the policy environment. Hospital revenues are an important source of capital projects funding: they are on the hook for $1.1 billion of UC's 2011-2021 capital projects (page 20). Construction funds, in short, are limited by the perpetual need to maintain reserves against both anticipated shortfalls and demand for construction funds. One person told me, "seismic retrofits and other costs have chewed up the chancellor's reserves. She has lost a lot of leeway just when she needs it." ABW was being considered as the campus was looking not only to cover rising costs but also to rebuild reserves. Of equal importance is the fact that UC capital projects are increasing underfunded from the start. UCOP got 18% of need for state-eligible capital projects in the current year and is looking for 27% for next year (pages 7-9). For 2011-2021, UCOP expects state resources to fund 33% of all UC capital projects (page 6). Two-thirds of building costs need to come from somewhere other than the state, even for these state-eligible projects, and a growing share of UC construction is not state eligible. UCSF’s Mission Hall is one of these non-state projects. UCSF's long range development plan for Mission Bay originally drew on UCSF working capital and Medical Center Reserves (together supporting 40% of costs in one period), external debt financing (another 32%), plus "novel, non-traditional sources" of income, including revenues from private-sector building tenants. The latter will come only if empty space is reserved for them, putting permanent pressure on faculty space. The problem is we have a hospital across the street where we have enormous fundraising activity going on. We're still $500 million in need there. We have the Sandler Neurosciences Building that we need another $100 million for--that's already up and occupied. We have another building called the Diller Cancer building and there's need there. So we have a lot of fundraising going on. For that reason we never planned to support this academic building with philanthropy. Given this context, it’s reasonable to treat denser Mission Hall occupancy as both a cost-cutting and a revenue strategy, and to see ABW as a way of delivering on both sides of the ledger. Some of the groups going in need to be near the new hospitals. Some are there for reasons we don’t know. My guess is that it has something to do with increasing the IDC [indirect costs rate]. If a research unit is off campus, the campus receives only 26% as the rate. If the unit is on campus, the campus recovers double the IDC—the rate is over 50%. It’s true that there’s no rent on campus and that an off-campus UCSF research unit has to pay rent on the non-UCSF office space. But rent is always less, usually a lot less, than the extra 26% or 27% that is deducted from an on-campus grant. Also, rent is controlled by the faculty PI [principal investigator], and IDC are controlled by the administration. I know the administration says that rents are skyrocketing and they don’t want us to have to pay them. But there’s a lot of leasing going on the new buildings- the new neurosciences building is leased. I think they’re not trying to reduce leased space, they’re trying to recover another big piece of IDC that will go directly to the administration and rebuild reserves. Setting aside its impact on faculty and staff, ABW has a sound budgetary logic for the UCSF administration, since putting formerly off-campus faculty in open offices puts an extra IDC revenue slug into oversubscribed campus funds. Reserving IDC revenues for overall campus needs rather than for a given grant's immediate support is as common as it is controversial with PIs. ABW, particularly if refined and then applied to other buildings, would also allow for further occupancy-based revenue options down the road. The process outlined here starts from the premise that simply refusing the open-space model is not sufficient. The faculty are ready to participate by offering alternatives to the open space design that are cost competitive. We outline below proposed steps that will lead to the review and consideration of multiple options, and ultimately to decisions that reflect financial reality and appropriate faculty consultation. The Senate recommended that the Chancellor announce a moratorium "on the extension of the open-workspace model to campus buildings beyond Block 25a at Mission Bay," and the revision of the Block 25a building plans to leave two floors unoccupied pending the results of a study of ABW's impact. On May 7, 2013, the Faculty Workspace Task Force, chaired by David Teitel, issued a White Paper with recommendations for a change in course, including an effort to "increase design flexibility" in the new building; a formal evaluation of whether an open office allows compliance with draconian HIPAA patient privacy rules (Appendix 1, page 10 of 67); a retooling of shared governance; and seven others. The May 7th White Paper refined these recommendations to six. Chancellor Desmond-Hellman responded on July 16th (author’s files). She agreed to an occupancy survey focused on user productivity and satisfaction. She rejected the moratorium on future ABW designs, explaining that the California Seismic Review board imposed deadlines on the Parnassus projects that would force the administration to design those buildings before Mission Hall’s ABW can be evaluated. The Chancellor also noted new communication efforts, faculty committees, and ongoing HIPPA compliance. She offered no assurances that she would or could honor faculty beliefs that ABW would, among other negative things, damage their creativity and productivity. Two participants confirmed to me that ABW is very much under consideration as an efficiency measure in the rebuilt Clinical Sciences Building and University Hall on the Parnassus campus. the majority of the faculty accept this, including people going into the building. They're willing to try to make it work, and will do whatever it takes to mitigate any problems that arise, and of course there will be things that need to be fixed, as there are in all these buildings. The great majority of the faculty say, "ok we're in, let's go, let's make this work." There are a few hotheads, and we're trying to work with them. But we haven't had faculty leave. We've been able to recruit into the building. This of course begs the question of whether they should have to. Professional Authority: Will UC faculty and staff, including some of the most highly-trained people anywhere, be allowed to define what they need for their work? Governance: Can UC administrative practice be changed to allow these work needs to be brought into the design process at the start? The Business Model: Can UC's funding system still afford high-end work needs, a core element of historic quality? Although I am a perennial optimist about the first two questions, I have become a pessimist about the third. Jerry Brown has suspended the University’s traditional funding model and perhaps even terminated it. The financialization of capital projects was fairly functional when it could assume generous and ever-increasing state funding. It looks less functional now, as some of UC's most elite faculty are put into open office workstations on grounds of financial necessity. UC certainly needs better collaborative structures among faculty, staff and administration. It needs to put the creative process of its large and brilliant workforce on par with the business model. But UCSF's open office future suggests that UC as a whole needs to face the possibly that UC can no longer afford the facilities that allowed its people to make it a great university--and do something about that. VI. "I Used to have an office. Now I don't"
I’m not looking for your pity; I want your own righteous indignation. Because you, too, deserve an office. We deserve better. We all deserve offices. But it gets worse. We’ve been told that our small squat in the vast openness of our open-office layouts, with all its crossstalk and lack of privacy, is actually good for us. It boosts productivity. It leads to a happy utopia of shared ideas and mutual goals. These are the words of imperceptive employers and misguided researchers. The open-office movement is like some gigantic experiment in willful delusion. . . This a trap. This is saying, “Open-office layouts are great and if you don’t like them, you must have some problem.” Oh, I have a problem. It’s with open-office layouts. And I have a solution too: Every workspace should contain nothing but offices. Offices for everyone. . . Take those long tables, the ones currently lined with laptops at startups, and give them to an elementary school so children can eat lunch at them. A few years from now, UCSF may be giving away some long tables too.